The Aveeno point-earning opp has reset, so if you've done it before or are a new member, you can score 50 points for re-taking the pledges! To get your points, just log into your RecycleBank account, go to Earn Points, then click on the Aveeno opp. You'll be brought to their Facebook page where you can take 3 different pledges, for a total of 50 points! 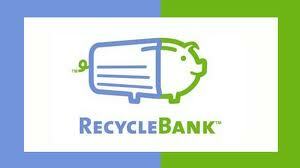 If you're not a member of RecycleBank, I HIGHLY suggest signing up! For doing short tasks like this, you get points which you can redeem for high-value coupons, online coupon codes, merchandise and much more! A while back ago about how you can get Kashi Go Lean bars for free + get $0.74 overage using a coupon you get with your points. Click here to read that post.